Bring the tomatoes and water to the boil, season. Add the chicken breast, cover and simmer for approx. 15 mins. Remove the chicken breast from the soup, pull away the meat using two forks, mix with the pesto. 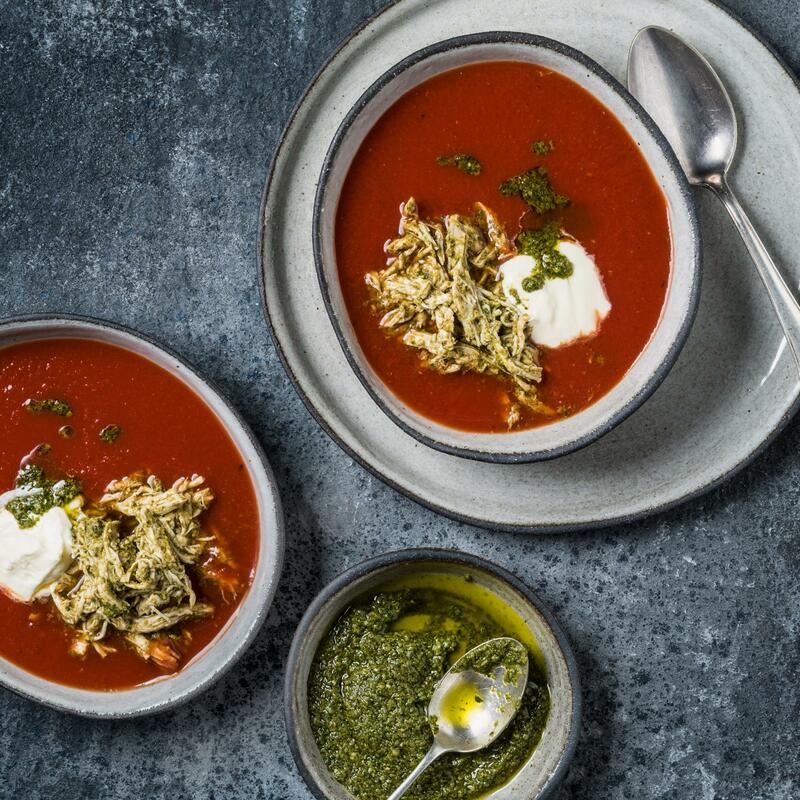 Serve the soup in deep bowls, add the chicken, garnish with the pesto and crème fraîche.